In a pivotal year with women's issues at the forefront and in the headlines for the wrong reasons, we've dedicated this issue and cover story to women who have persevered through obstacles of all kinds, made their way to the top of their profession as franchise executives, and who have set a positive example in the world of business and the world in general. Inspired by their stories of success in both business and in life, we asked them how they got to where they are today. Here are their stories. 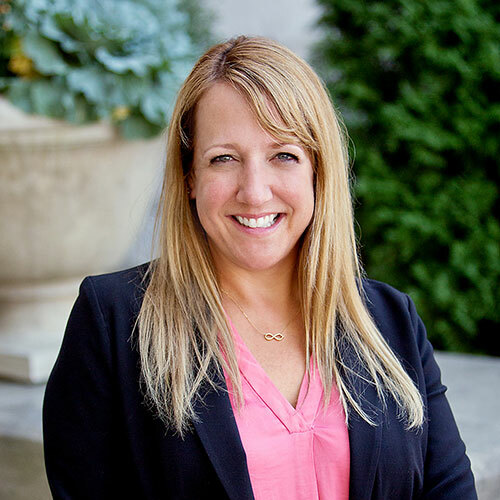 In her career as a franchise marketing executive, Boresow has steered marketing and strategic planning for some of the best-loved and most-recognized brands in franchising, including McDonald's, Sport Clips, Cold Stone Creamery, Pump it Up, Massage Envy Spa, and Godfather's Pizza. Melding traditional and digital/social media, she has launched initiatives to enhance brand awareness, drive leads, deepen customer relationships, and bring the brand promise to life. She earned her bachelor's degree in advertising/journalism from the University of Kansas and her master's degree in marketing from Webster University in Kansas City, Mo. What drew you to franchising--and to your specific franchise focus? I began my career in franchising in an entry-level position in the marketing department at McDonald's in 1985. Being on the ground level with franchisees for almost 20 years taught me a great deal about how franchisees and corporate can work together to achieve their goals. From McDonald's, I continued my career in franchising with other iconic brands. In 2015, I joined Title Boxing as president. What have been the greatest challenges you've faced, and the solutions you developed to overcome them? Some of the most common challenges I have faced involve franchisees whose sales figures are not where they would like them to be. This challenge could be an individual franchisee's issue, or co-op, or even market-wide. The solution is always to listen, understand the issues, and work with other team members and the franchisee to develop a problem-solving plan. What successes have been the most satisfying for you? For me, success is measured in results that include seeing our franchisees achieve their goals and increase their overall financial wealth. When our franchisees succeed, the franchisor does too. Seeing my team grow and succeed is very rewarding. Success is also measured by adhering to your company's core values. When you hold yourself, your team, franchisees, and vendors accountable to live the mission and values of your brand then there is alignment--and alignment is always a good thing! What have been your most important lessons learned? If you want to understand your franchisees, your brand, and how to grow, you need to get out in the field and build relationships with your franchisees. Another important lesson is instilling a sense of culture among your team. I believe the best cultures start with the people. Cultures have to be organic, authentic, and not forced. Another key lesson I have learned over the years is that you can control your own destiny. I haven't let other people define my boundaries in my career. Cole was named to her current position at Focus Brands (Auntie Anne's, Cinnabon, Moe's Southwest Grill, Schlotzsky's, McAlister's Deli, and Carvel) in June 2017. Previously, in 2015, she had been named group president for Focus, following 4-plus years as president of Cinnabon. Before that, she spent nearly 15 years at Hooter's of America, rising through the ranks to become vice president before moving on to Cinnabon. She is a past chair of the Women's Foodservice Forum, and a member of the UN Foundation's Global Entrepreneurs Council. She received her MBA from Georgia State University. I started in food franchises as a hostess as a teenager. I've remained in franchising ever since. Franchising is an art and a science, and I love the tension and the harmony in that. The greatest challenges in franchising are balancing short term with long term and maintaining the pace of necessary change at a speed the organization and franchise system can handle. Businesses today must be nimble. That means change. For owners of small and mid-sized businesses that can be scary and difficult. Leading through that dynamic is a great challenge. Confront reality, lead with courage, educate and inform, and partner along the way. Honor emotions without getting bogged down in them. Find a coalition of the willing to quickly test concepts. Reward risk takers. Seeing employees, team members, and franchisees reach and exceed their own personal and professional goals, and knowing my teams and I had something to do with that. Keep the "true north" clear to myself and to others. It is the responsibility of the brand leader to have the humility and curiosity to learn and grow, but also to have the ability to see around corners and to lead with courage and confidence in tough times. Specializing in the intersection of data, IT, and marketing, and turning data insights into brand and business solutions, Dickey previously served as the brand's CIO for 8 years. 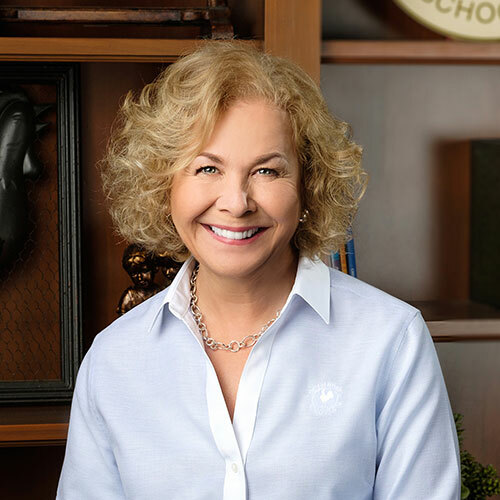 During that time she established Dickey's as a technology leader in the restaurant industry through the development of proprietary big data and enterprise management systems. Her first "real" job was as a hostess at Lone Star Steakhouse in high school. Her post-college career began in advertising and web design, where her first three clients were restaurants. I do not have the most conventional introduction to franchising as I worked heavily in the IT and marketing world before coming to the Dickey's team. After marrying into the Dickey family, I was "drafted into service," first consulting and then working full-time for the brand in many areas of the company. I never saw myself as CEO, but now there is nowhere else I would rather be. I have a passion for the food, our slow-smoked barbecue, and the folks, our amazing team. I consider myself incredibly lucky to lead the largest barbecue chain in the world. 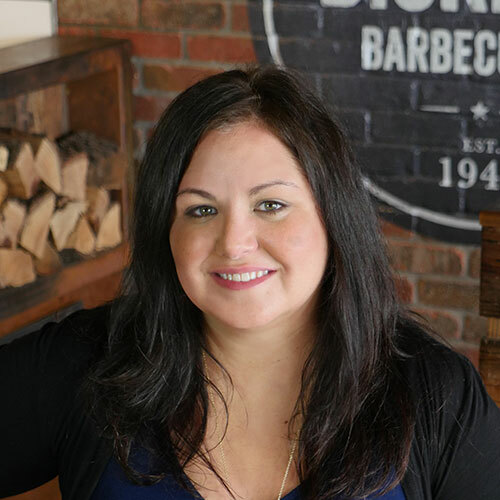 The biggest challenge we have faced is also how we have achieved our greatest accomplishment, and that is balancing our evolution as a barbecue brand without changing what's made Dickey's Barbecue successful. We have had to "evolve or fail" as a brand in response to growth, competition, and changing guest expectations. We haven't changed that our barbecue is slow-smoked in every restaurant daily, but we've completely redesigned and opened our kitchens and incorporated technology in every corner of the restaurant and the business. I think a huge success is our position as a technology leader. We have created our own proprietary data warehousing system, our own online ordering system, a consumer app that incorporates loyalty and delivery, and we are in the process of creating our own POS system. Success is valuable, but failures are the most valuable teacher. 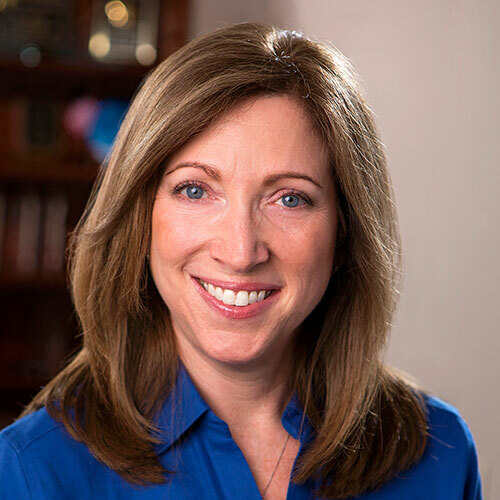 As CMO since September 2017, Josephson is responsible for all brand marketing, advertising, new product development, menu strategy, pricing, public relations, communications, field marketing, and franchise support at Corner Bakery Cafe. Previously, in 2015, she was recruited to spearhead strategic marketing initiatives for Fazoli's aggressive growth strategy. She also served as vice president of marketing for McAlister's Deli. Other restaurant experience includes Chick-fil-A, where she pioneered the company's local marketing programs. She also has held several executive and senior-level marketing roles at Applebee's and Wendy's. Work/life balance was a challenge. Early in my career, I felt pulled between what I thought was expected of a young mother and wife and the desire to be at work and contribute. The solution was understanding that my family supported my career aspirations. My daughters were, and are, proud of my work and my husband has been very supportive. The biggest challenge today is the constant work required to keep up with technology and changes in the competitive landscape, as well as consumer needs and wants. Be open to learning and to change. It's crucial to surround yourself with great people and outside resources to help navigate the changing landscape. That there is always more to learn! The landscape is constantly changing. You can never sit back. Change is constant and you have to continue to learn and be willing to change to maintain relevance. Another key lesson is that great ideas come from a multitude of places. Always listen to other's problems, ideas, and solutions. Often the best solutions or ideas come from franchisees or operators who are on the front lines daily. In 1988, Kirchner signed on with Primrose Schools as a consultant. Two years later she became vice president. In 2006, when Primrose was sold to American Capital Strategies for $63 million, Kirchner continued in her role as president and CEO. In her time with the organization, she has helped Primrose grow from 4 schools in Atlanta to more than 260 nationwide. In 2013, she was named winner of a Gold Stevie Award in the Female Executive of the Year Category for Women in Business. When I first joined Primrose, the company wasn't a franchise yet. As a working mother who had struggled to find high-quality early education for my own children, I was attracted to the company's vision to provide the best and most trusted early education and care for children and families. Like so many working mothers, maintaining a work/life balance when I had young children was a challenge. I struggled to find the right childcare provider, which is why I was so attracted to the high-quality environment Primrose offers. I've learned that you can't be a perfectionist and attempt to do it all. The key is to set high expectations and surround yourself with like-minded people who can help you achieve your goals and the mission for the company. Navigating the company through the recession was challenging, not just for me, but for our family of franchise owners as well. Instead of resting on our laurels, we took an aggressive approach. During a time of uncertainty for many companies, that was a difficult decision to make, but we launched a comprehensive brand refresh and set a top priority to invest in our people with expanded online training programs for school management and staff, and larger service teams to support franchise owners. We also launched a pilot school in an urban area, which despite the economic downturn broke even in its seventh month after opening. Love what you do. Do something that makes a difference. Build a high-quality approach to something. I also encourage people not to be afraid to take risks! It can often be difficult for leaders to do this--it takes great fortitude--but I've seen firsthand how it can pay off in the long run. 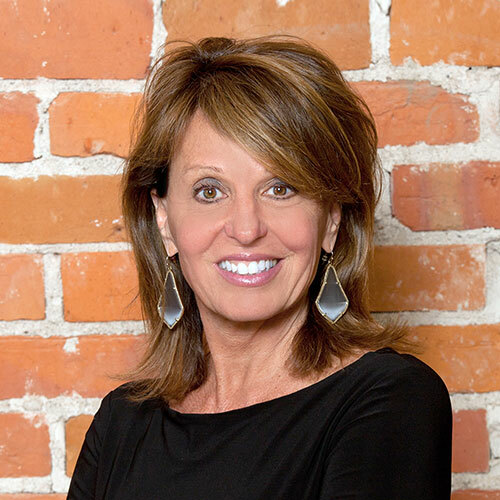 In her more than 25 years in marketing, Kleinsasser has led the marketing teams for several franchise brands, including PuroClean, Coverall Cleaning, Benihana, Kenny Rogers Roasters, and Domino's Pizza. She worked on the agency side at Tinsley Advertising and BBDO South for brands including Premier Cruise Line, Mayors Jewelers, and Burger King, and in partnership marketing at Alamo Rent A Car. She earned a BS in communications, advertising, and marketing from Florida International University, and a Mini MBA from Nova Southeastern University's International Institute for Franchise Education. When I was in college, my dad bought a pharmacy franchise. I thought it was fascinating at the time--the whole concept of "buying a brand" and an operating system, especially for my dad, who had owned his own pharmacy and worked for other chain drug stores. After college, I started out on the agency side. My first introduction to franchising was a test project for Burger King. Our marketing agency was hired to help launch table service in the Miami locations. The launch failed. I learned so much about how all the moving parts of a franchise organization worked, how they should work, and maybe how they shouldn't. Franchising is a people business, no matter what industry or discipline you are in. While technology may have changed the way we communicate and conduct business, it is important to understand how people want to be communicated with. Consider technology a support tool, not a replacement, for building relationships. There have been times throughout my career where different departments in a company or different franchisees struggled to effectively communicate and/or agree on the best method of communication. As a result, certain important messages were lost. That caused big gaps in effectiveness for departments and the company overall. The best solution was to make time to talk and listen. When you schedule the time to do that, company connections grow deeper, which ultimately benefits the business. Never give up. I had a few important forks in the road in my career and could have given up on franchising, and even marketing at one point, but I knew it was my passion and that I didn't want to do anything else. I believed in my abilities. No franchisee is created equal, so be flexible and adaptable. While each franchise owner may have a similar goal, they may go about achieving it very differently. How you coach and interact with each person may need to be very different. Neary joined Auntie Anne's in 2005 as a marketing manager. She rose through the ranks to become director of marketing and vice president of global marketing. 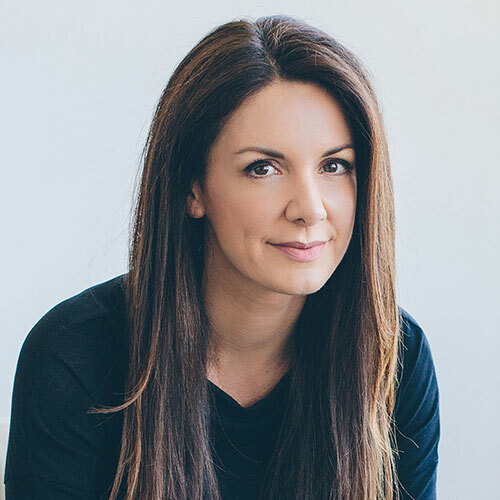 In 2015 she was named president of the company, and today manages all budgets for the $547 million company and its more than 1,300 U.S. locations. Before joining Auntie Anne's, she held roles in marketing and as a managing editor for a business magazine. She earned a bachelor's degree from Millersville University and an MBA in finance/marketing from Penn State University. When I came to Auntie Anne's, it wasn't for the franchising component. I came because I loved the pretzels and had heard great things about the company and wanted to work for a great organization. I'm not even sure I completely understood the franchising model at the time. I knew what it was at a basic level, but not much beyond that. Now I love the diverse group of people I get to work with, the idea sharing, and the passion for the brand. The food is amazing. Franchising involves a lot of great people--really smart people with great ideas. It can be a challenge to filter through all of the great ideas to ensure I'm looking at the big picture and making strategic decisions accordingly. While everyone may not always agree with my decisions, by being transparent and honest and communicating constantly, I try to make sure everyone understands the rationale behind them. When you're working with a franchised brand that is nearly 30 years old, it's important to keep things fresh, and to keep the lines of communication open with the franchise system. I'm glad that we've continued to maintain a high level of support to our franchisees while also challenging everyone to think differently about the brand as we and our guests evolve. I'm very pleased that we continue to earn high marks for franchisee satisfaction. We conduct surveys annually with an outside firm to help us see where we're excelling and where we can improve. We've achieved "world class" franchise status for the 12 years our franchisees have rated us. During those 12 years, we have changed a lot. It's satisfying to know that as we change, we are keeping the system engaged and excited about our future. 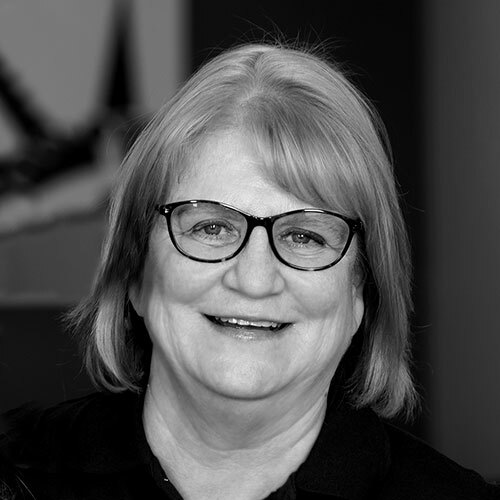 In her multiple roles, O'Gorman is responsible for developing brand awareness in every major market in the U.S. and Canada. Since the franchise's birth in 1997, Liberty has expanded to more than 4,400 locations with nearly 2,000 franchisees. 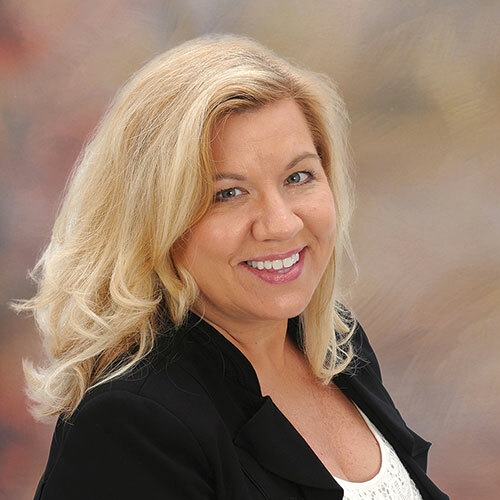 She is a member of the Franchise Consumer Marketing Conference Advisory Board and a member of C-Suite Advisors. She is a Liberty Tax area developer and franchisee in the Fort Myers, Fla., region. She earned her B.A. in communications and English from Denison University. In 1987, I was working as an account executive at an ad agency and Jackson Hewitt was my biggest client. I asked the CEO, John Hewitt, if he would be interested in setting up an in-house ad agency. He said yes. I really didn't know much about franchising at the time, but I learned quickly and was enthralled with the business model. It gives so much opportunity to people who want to own their own business focused on something they are passionate about. I have been able to work with and help hundreds of people who are searching for the American Dream. I have personally owned Liberty franchises during the past 10 years and that experience, combined with my corporate work, has made me so much better at my job as CMO. I understand the pressures and rewards of being a business owner. I will always be involved in a franchise concept. It gets in your blood. My biggest challenge was leaving Jackson Hewitt to start Liberty Tax with four other people. It was scary but something told me we could do it! We didn't have much capital, no offices, no employees, and only one computer between us all. We worked really hard and didn't let personalities get in the way. We wrote a mission statement that says: Set the Standard. Improve Each Day. Have Some Fun! Having those few words as a driving force helped us grow and prosper. I really believe that the mission statement was the catalyst for motivating me and helped me keep my eye on the ball. Growing to such a large franchise entity has been very satisfying. I really get a charge from people in the franchising world who ask how we grew Liberty so big. I love to tell our story. I also believe our Statue of Liberty wavers have brought a unique and fun aspect to our marketing that's been instrumental in growing the brand. Everyone knows who we are when we say, "Have you seen the Statue of Liberty wavers during tax season?" Don't ever count on things staying the same. Life is full of changes and you must be flexible and courageous enough to carry on in adverse times and flourish during the fruitful times. Don't be afraid to try new things. Test them first, but always try them. Be a leader, not a boss. People want you to care about them. I practice the "six-foot rule": I never let someone get within six feet of me without speaking to them. "This business, like many, is rooted in successful relationships and partnerships. Have both the culture and the reputation of doing the right thing for the right reasons." "Be the person who makes the coffee or be the person who develops the winning initiative, but take both to completion with equal commitment and excellence and you'll rise and take those around you with you. Seize every opportunity to work harder. Don't look around. Look forward." "Be yourself. Advocate for yourself and make your voice heard. Don't be afraid to make mistakes--and when you do make them, learn from them. Identify a mentor, someone who will be honest with you and give you advice and encouragement. Join groups that support women leaders. 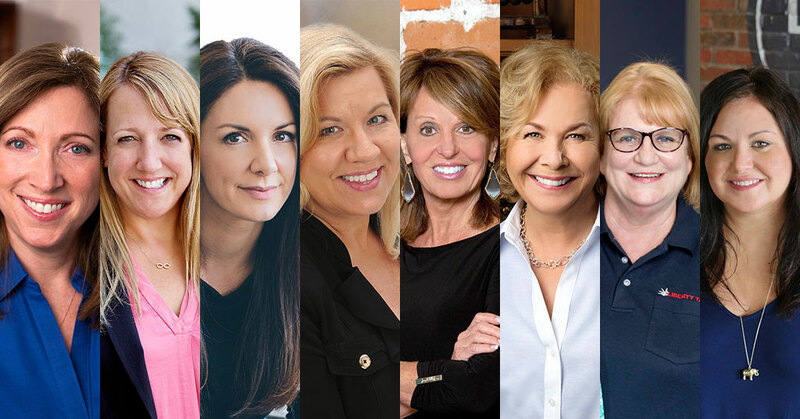 The Women's Foodservice Forum is an invaluable resource to me. Go above and beyond. When I was CMO, I told our president that I wanted to lead the operations team. While he was skeptical at first, he eventually acquiesced. This was a huge growth opportunity out of my comfort zone that taught me how to be a more effective leader. Live by the Golden Rule and treat everyone as you want to be treated. And make sure you're having fun!" "Speak up. You don't have to be obnoxious, but use your voice and your wisdom to create positive change in your organization. Be honest and sincere. And, most important, do what you say you are going to do." "Don't let anyone define your true potential. Only you can do that. We all have mentors in our life, and I encourage you to find the mentors who will help you and believe in you. If you enjoy learning and working shoulder to shoulder with franchisees, while providing guidance, leadership, and support, then you will enjoy the ride." "Do not be afraid to ask questions and keep the mindset that everyone has something to teach you. Listen to your key business partners and franchisees. No marketing idea or program will ever survive without cross-functional support." "Find your passion. If you are not happy, make a change now! Always be true to yourself and never stop learning."